It’d be nice if you could just wave a wand and instantly add more shelves, compartments, and closet space to your home. Unfortunately, we don’t live in the world of British wizards and our storage spaces have to fit into real, physical places. But that isn’t to say there can’t be some magic in solving your storage needs, you can you your creativity to come up with fantastic solutions to your spatial needs. The best storage is simply efficient storage (having fifteen closets when one could do is simply clutter in itself); it’s finding out how to arrange and organize what you already have, in doing so discovering new opportunities for storage space. Closets, especially walk-ins, can all use a bit of customization to make them as optimal as possible. Insert shelving for shoes, t-shirts, jeans, clothing than doesn’t have to be hung; condense your hanging rack or eliminate it if possible—door hangers are great opportunities to utilize space. You can also find hanging accessories that will condense your clothes and free up space on the rack; for those with a very large array of hanging clothes, consider vacuum sealing these garments to allow more rack space. Leave a small space for seasonal items and rotate those in and out throughout the year. Of course, not all closets are used for clothing; these storage closets can be organized like any other. Place the contents of the storage closet in order of usage, with more commonly used pieces at the front and those you only use once or twice a year in the back. You can also get creative outside of closets and designated storage space by finding the hidden spaces around your home. Under beds and couches are some of the best storage spaces you’ll find as they offer ample storage without being seen and without interfering with the inhabitable space of your home. Other great spaces include the tops of shelves, cabinets and armoires—places that maybe weren’t meant to be storage but that aren’t a stretch. You won’t want to store heavy items up there, but it can be a great place for seasonal dishes and light-weight but seldom used tools, toys, or equipment. Walls are another fantastic storage solution for your home; blank walls are really just a blank storage canvas, brimming with potential and opportunity and highly customizable. Shelves, coat racks, bookcases, armoires, even bike racks can be built on, into or against walls. Walls are great opportunities to free up your inhabitable space and eliminate the clutter of your floor—which should be the goal of much of your storage designs. Similarly, finding ways to accommodate storage within your living areas is a great opportunity to create storage space. Many companies have begun designing benches, ottomans, couches, etc with storage space built in, which kills two birds with one stone; conversely, you can also make living space out of storage by adding cushions, pillows or blankets over sturdy storage containers. You don’t need to add whole wings to your house to solve your home’s storage needs. There’s plenty of storage space in your home already, simply waiting for your creative discovery of it. 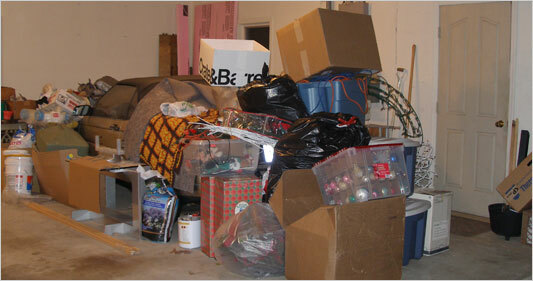 About the author: Marty Reardon writes about home organization and storage for Next Door Storage. Marty enjoys writing poetry and reading classic literature in his free time. I need to desperately clean out my attic and pantry. There is so much clutter there it’s not funny. Thank you for the tips.